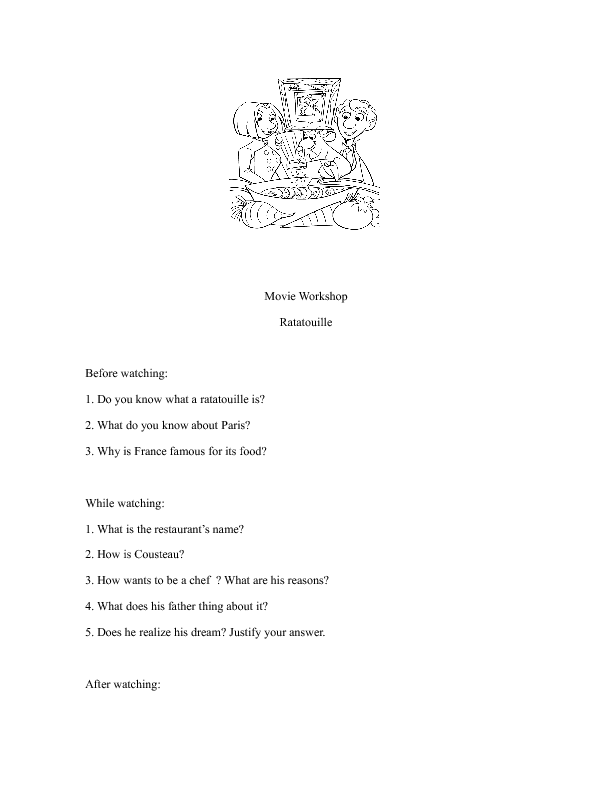 This worksheet is about the movie Ratatouille, here the students have 3 different types of activities. 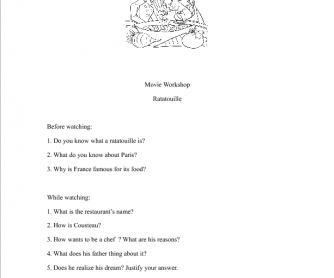 It is useful to talk about food, characters and personalities after watching the movie. It is suitable for kids, teenagers and young adults.